Daytona State College big man Doudou Gueye will make an official visit to Oklahoma State this weekend. Gueye, a listed 6-foot-9, 220-pound forward, is a key 2019 target for Mike Boynton and Oklahoma State. The Senegal native has garnered offers from Arkansas, Texas Tech, Seton Hall and OSU during his recruiting process, but figures to be a massive 2019 addition if he picked the Pokes. According to GoPokes, OSU might have a leg up for this reason: New assistant coach Erik Pastrana, was hired away from FAU and has ties to Gueye. Coincidence or ….? Probably not. 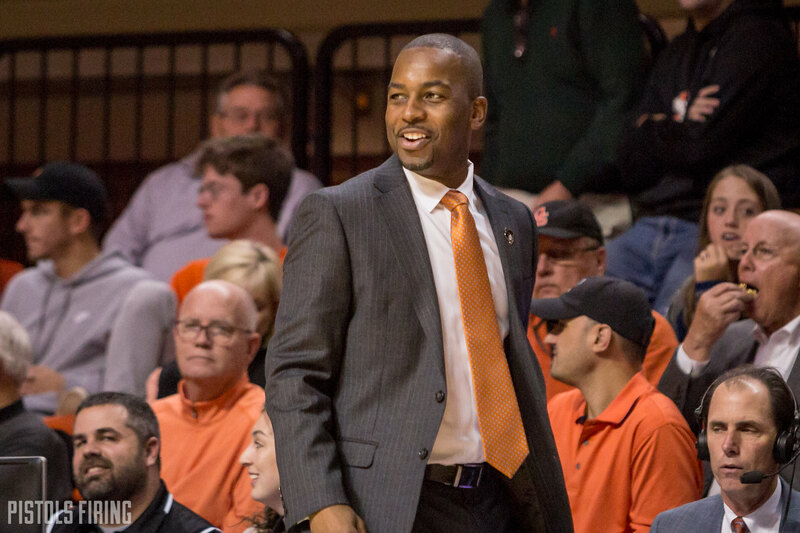 With Yor Anei returning as a sophomore and Kalib Boone an incoming frosh, Gueye could be a vital piece of what OSU is doing in the frontcourt right away in 2019. His immediate eligibility (and two years remaining) could give OSU a huge boost. Last season at Daytona State, Gueye operated as a stretch big, posting 11.0 points and 7.4 rebounds per game while shooting 50.4 percent from the floor and 38.2 percent from the 3-point line.